E-cigs and vape mods are two of the main style of vaping devices available today. The e-cig tends to be the much better known type of device. The body style of the e-cig is more like a traditional tobacco cigarette. The vape mod shape tends to be wider and comes in various styles and sizes. Both styles of vape devices are often interchangeably referred to as an e-cig. Their body shapes may be different, but their technology is the same. There are three main parts to a vape device; the battery, the atomizer, and the e-liquid. The battery powers the device, and activates the atomizer. This heats a coil. The hot coil essentially cooks the e-liquid and creates vapor. Vape smokers, much like with a traditional cigarette, inhale through a mouthpiece at one end. This activates a sensor switch that turns the power on. The power triggers the coil to heat up. The hot coil warms up the e-liquid. The warmth of the e-liquid creates a vapor which the smoker inhales, and the vapor cloud is created. The vapor cloud looks like smoke from a traditional cigarette, but is tobacco-free. The vape smoker’s inhale may trigger a switch that turns on a light at the end of the e-cig, looking much like the burning end of a traditional cigarette. E-cigs tend to be a vape smoker’s first device. This is because often first-time users are trying to quit smoking. The e-cig looks and feels somewhat like a traditional tobacco cigarette, enough to be comforting. E-cigs have prefilled e-liquid cartridges, and are a one-use product. Vape Mods can also be referred to as advanced personal vaporizers (AVPs), vape pens, or mods. The Electronic Cigarette Buyers Guide state mods have two basic shapes. The shapes include the tube mod and the box mod. The shape of a tube mod is a more cylindrical body style. The shape of a Box mod is a more square or rectangular body style. Mods tend to come in many variations of their body styles. This type of device gives the user more control. Mods are reusable and refillable. The mod user can also regulate the power level for his needs. For the vape cloud enthusiast, mods have the ability to create a larger vapor cloud than an e-cig can. 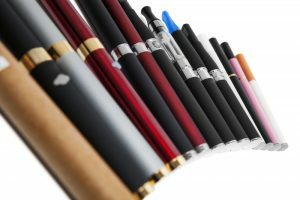 In the beginning e-cigs appear to be the less expensive device, but mods are reusable and refillable which often makes the device less expensive over time. Having a refillable cartridge in the mod gives the user a wider variety of e-juice flavors and nicotine levels to enjoy. There are a vast number of products in the vapor market today available to vape smokers. This often makes choosing devices and e-juices somewhat over-whelming. For help and guidance come into our Tyler e-cig store. 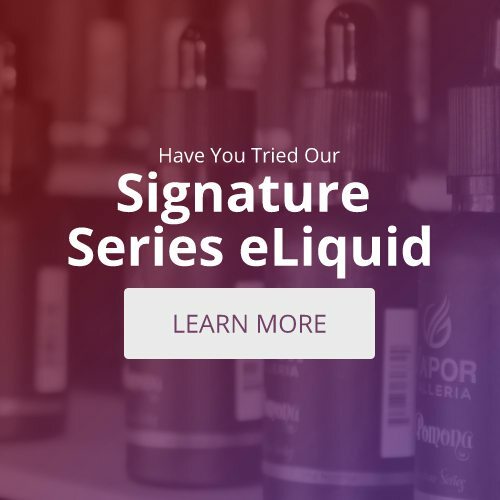 Our employees are trained to be able to guide you through the many different products and assist you with choosing the products that will help make your vaping experiences the most flavorful and enjoyable possible. Electronic Cigarette Buyers Guide. Advanced Personal Vaporizers.